“Making time” is one of those expressions that can be something of a self-contradiction. On the one hand, especially when we are trying to arrive at a destination (either a physical destination like New York or a metaphorical destination like the understanding of a concept), when we speak of “making time” we are speaking of how quickly we are getting to where it is we want to go. In this sense “making time” is about speed, which is not always the same thing as efficiency, which is taking no more time than is necessary, but also taking all the time that is necessary. It is just quickness. I may get to New York very quickly, but on the journey miss the Grand Canyon, which, as a visit, would be an efficient use of time, but it would slow me down and so in the interest of speed the visit is not taken. But there is another sense in which we “make time” and that is when we set aside blocks of time so that we can slow down and think, reflect, and contemplate; so that we can study more deeply or work more slowly and deliberately. This is about lingering, which also may not be efficient, we may be spending more time than is precisely necessary drawing out our investigations; luxuriating in what we have or in the process of discovering. For the astronomer in the painting time seems to have stopped as his hour glass is on its side and the sands are no longer measuring time’s passing. Much of life is spent navigating our way through these two approaches towards making time. Taking things quickly or slowly as the moment demands. 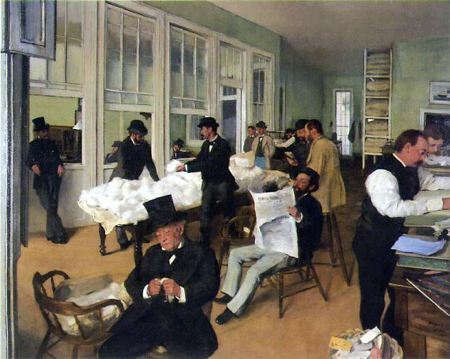 The gentlemen in this painting are making time in a different way, many in the painting look like they are “killing time.” Idly waiting for time to pass, waiting for something they expect will happen, to happen. They are not making time in an effort to arrive quickly at a destination, nor are they making time so that a task can be completed deliberately and effectively; they are doing little or nothing with time. In a sense they are killing time while waiting for time to kill them, which, considering the painting was painted well over a hundred years ago, time has had its way with them. I suppose these are three choices we face when it comes to time, we can work quickly toward a goal, work slowly towards understanding and self awareness, or we can do nothing at all with our time, we can bury our talent in the mundane activities that occupy our days. 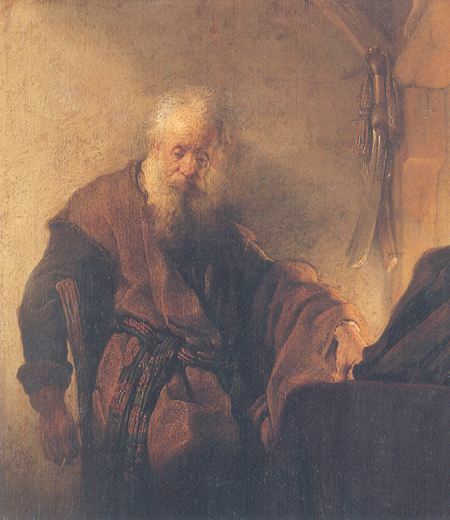 In music there is the importance of “keeping time” and how each musician must do the different things they do within the same “measure” of time. I think it is interesting that The Chambers Brothers use a percussion instrument in “Time Has Come to Stay” to suggest the ticking of the clock and the passing of time in much the same way Haydn uses the orchestra at the beginning of his “Clock Symphony” to make a similar evocation. 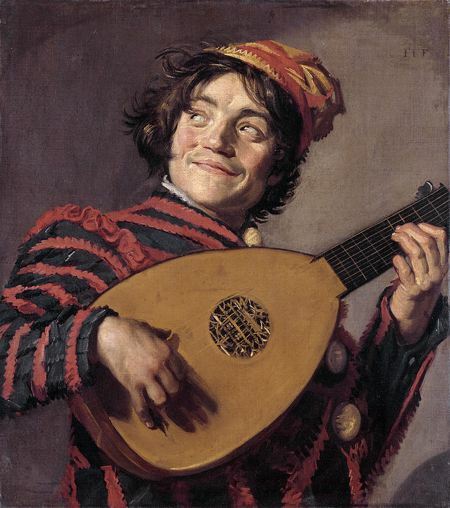 But in order to appreciate how the different musical forms use sound and the instruments that make those sounds we must make time to listen to it carefully and reflectively without loosing the joy and pleasure the music was intended to provide. The arts when appreciated fully often make this demand upon us and this demand illustrates that taking things slowly brings its own exhilaration, but in order to experience this exhilaration we must live contrary to the times and move slowly; resist the urge for speed and fight the compulsion to make time on our journey through life. Just as Google Books does not simply strive to augment the reading of a book but to actually replace the reader’s book with the searcher’s book, so the ultimate goal of digital editions and digital facsimiles, I believe, is not only to reflect the “original,” to “capture” or “recapture” it, but to effectively replace it with a better image of itself. Whereas philology, the study of language history through texts, creates (like fetishism) a “desire for presence,” digital philology creates a simulacrum or iconic replacement for this presence. The injunction from Kings against graven images rings in my ears, and I choose a fetishism of the frail human object over an idolatry of the power of the machine. 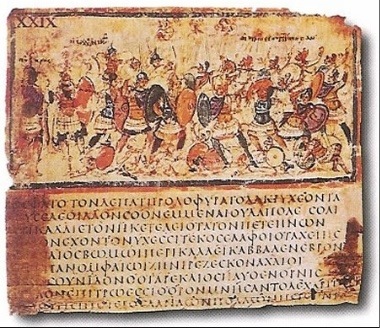 It is no surprise that the missing third column has been universally overlooked in the Coimbra codex of the Dagger of Faith, because even as it speaks on so many levels of its circumstance and intended meaning and unrepeatable history, it is, in its digital avatar, obscured by the overwhelming presence of its simulacrum. In viewing it from the comfort of a local café, on my own time, at my preferred screen resolution, I am grateful for its accessibility and convenience and I can work more effectively because of it. I am, however, also wary of the dangers it brings, above all the danger of my own complacency before it. I am wary lest I forget that the gleaming digital image of the Coimbra manuscript’s missing third column is a sort of enchanted mirror that ironically reflects back the impossibility of reproduction, of reflection, of control, of total understanding—ironically some of the very things that Ramon Martí (the author of The dagger of Faith) seems to have been coveting in his polemical attacks on Judaism like the Dagger. Yet if we can keep the eyes to see it, the manuscript’s lack leaps out as a stark reminder that reading is an imperfect and imperfectable activity whose final lesson is its own inscrutability, for it bespeaks the inscrutability of all that is time-bound—of history, of fate, of loss—should I say it?—of death. 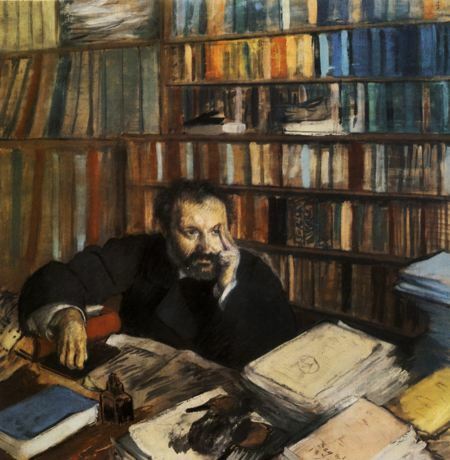 Umberto Eco has stated, “With a book…you are obliged to accept the laws of Fate, and to realize that you cannot change Destiny…In order to be free persons we also need to learn this lesson about Life and Death.” In the age of book searching, however, in which books are now the fodder of a few key strokes and the flitting caprice of an impatient mind, it may now be the inviolate manuscript that can, as never before, best teach us this law of Necessity. Reading in the sense that Szpiech speaks of is being captured by the book and drawn into the world it creates. We have to leave behind what we want from the book and accept what it has to offer. If the book does not win us to its world, we will not be captured by it and will not set aside our expectations. But if the book does capture us we enter its world and leave our world and our expectations behind. As Henry James said of the novel (quoted in “Henry James and the Great Y.A. Debate”), “We must grant the artist his subject, his idea, what the French call his donnée; our criticism is applied only to what he makes of it. Naturally I do not mean that we are bound to like it or find it interesting: in case we do not our course is perfectly simple—to let it alone.” We can always let the book alone, but if we read it we ought to read it on its own terms and to do that we need to give the book the time it needs to be properly experienced. “. . . is enormous,” I said. Outside, the Iowa summer afternoon was gathering itself into a storm. Large bursts of thunder began to detonate around us. “It is,” she said, continuing her previous thought. “ ‘O, Absalom! Absalom! My son, my son.’ The idea that there is an intrinsic worth in a human being. Abuse or neglect of a human being is not the destruction of worth but certainly the denial of it. Worth. We’re always trying to anchor meaning in experience. But without the concept of worth, there’s no concept of meaning. I cannot make a dollar worth a dollar; I have to trust that it is worth a dollar. I can’t make a human being worthy of my respect; I have to assume that he is worthy of my respect. Which I think is so much of the importance of the Genesis narrative. We are given each other in trust. I think people are much too wonderful to be alive briefly and gone. . . . In the course of our lives we are put in the way of many people, some in more profound ways than others, but many of the troubles of the world find their origins in people’s inability to accept the worth of those around them. The most petty of crimes is at its heart grounded in a belief that one person, the criminal, has more value than another, the victim. We cannot expect nations and states, cities and towns, to recognize this all the time, they are after all artificial human constructs, but each individual has a responsibility to remember this moment to moment as they live their lives. 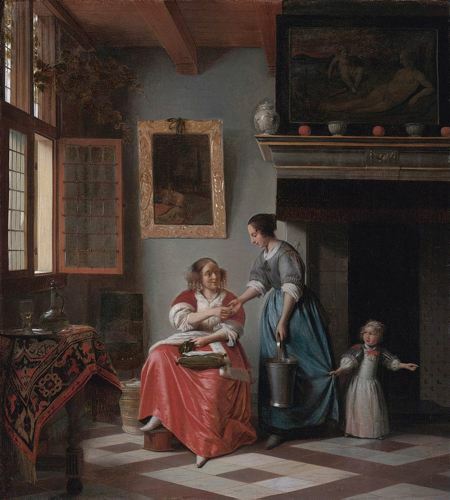 In this painting we see three people, a mother, a servant, and a child. The servant is taking money from the woman she works for. The reason for her being given the money is not clearly understood in the painting, but it is probably not important. What captures my attention, though, is the child. The child is pulling at the skirts of the servant. I wonder is this because the child does not value the servant and expects the servant to serve her, and if this is the case, where was this behavior learned? Probably from the mother. But there is another way to take this behavior on the part of the child and that is that the child has more of a relationship with the servant than with the mother. The child feels free to tug on the servants dress, would she feel as free to tug on the dress of her mother? Has the child’s care been given over to the servant and as a result does the child view the servant more like a parent than the mother? Our relationships often derive their value from the time invested in them. If the care of our children is given to others then it is these others who are investing time in our children and that our children look up to. What we do with our time, how we spend it, is consequential. Where we spend our time reveals what we value. No person is made valuable or assigned worth on the basis of birth, or to whom they were born, or on the basis of a ceremony, such as a marriage or a Baptism. People are made valuable by the time we invest in them because we have nothing more valuable to give than our time. 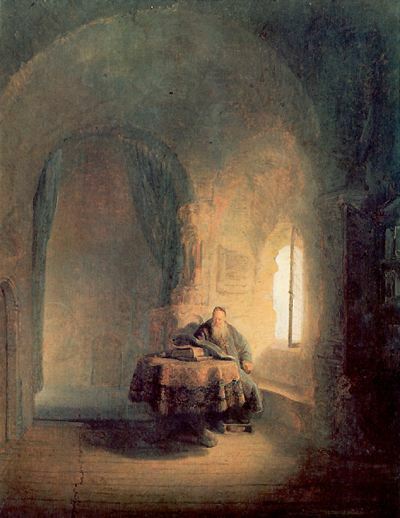 I enjoy this painting of the scholar. 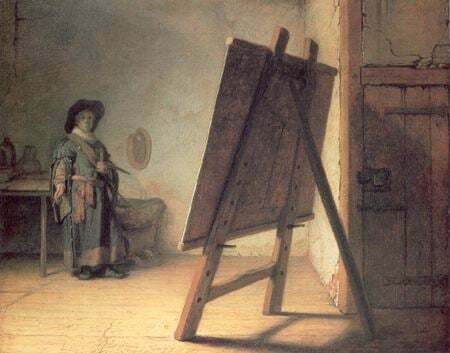 In some ways it is unlike other of Rembrandt’s paintings, which are dominated almost exclusively by dark colors and earth tones. In this painting there is the blue in the draperies and the golden sunlight in the window. If we take the time to look closely there is the suggestion of joy in the scholar engaged in his study. I am not sure this painting (probably any painting) can be fully appreciated without an investment in time. But what about the time we spend with music, art, and literature, or any other of the humanities? What is produced by the time spent with books, listening to music, or looking at a painting? For that matter what is produced by the study of abstract math or science? There may be at some point down the road some use the math and science can be put to, but the study was not engaged initially for what it might produce, but for love of the investigation, for a desire to deepen our knowledge of the discipline. But where the mathematician and the scientist are often forgiven their luxurious expenditures of time because there is the possibility something may come of it (though they are often ridiculed for studying what seems to some as useless, silly and a waste of time) the study of the humanities is often seen as having nothing useful to offer either in the present moment or at any time in the future. To Martin Heidegger, however, this way of looking at art would appear exactly backward. Equipment, tools, “gear,” are for Heidegger what we don’t notice or pay attention to so long as it is working. A hammer in good condition is like an extension of the person using it, a way for him to work his will. It is only when the tool breaks that it escapes the banality of usefulness and takes on determinate existence as a piece of wood and a piece of metal, with its own weight, hardness and luster. Literature, in this sense, is a tool that is always broken. A functional linguistic tool is like a stop sign, which we barely even read, much less think about; we simply see it and put our foot on the brake. A poem stands at the opposite end of the spectrum from a stop sign, in that it demands attention for itself, its specific verbal weight and nuance, rather than immediately directing us to take an action. 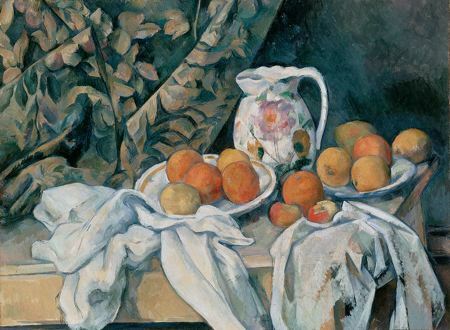 Indeed, literature famously has the power to impede action altogether, to sever our relations with the real world in ways that can lead to harm — that is one of the messages of “Madame Bovary,” to use Burke’s example. 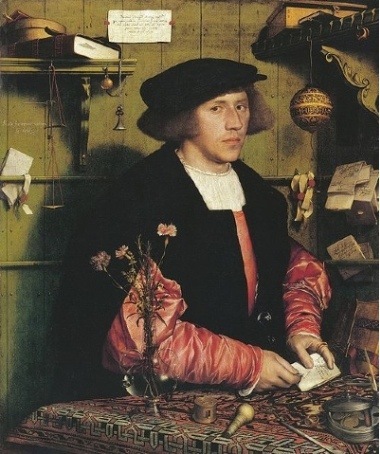 The life that literature really equips us to live is not the one Wordsworth derided as devoted to “getting and spending,” but the second life of inwardness and imagination. For those who do not believe in the reality of that second life, no amount of insisting on the usefulness of literature will justify it; for those who live it, no such insisting is necessary. Reading is an expenditure of time intended to produce no outward result or product. It is the building of an inner life. In some ways it is the building of character, both in the sense that it shapes the people we become and in the sense that we look at ourselves more seriously, that in our studies of the characters on the page we come to a deeper understanding of the character that lives inside us, that defines us. But even if it does not change us, and the history of the world is filled with people who were not changed by what they read, heard, or saw in their experience of the arts, it stirs and develops the imagination. This usually produces nothing useful outside of the individual doing the reading or observing or listening. On occasion, though, it develops a different way of looking in the way Galileo, because of his training as a draughtsman, looked at the moon differently than did the other astronomers of his day. I suppose there is little any human does that is entirely useless, though not all may be useful or beneficial. Whatever it is we devote our time to changes us, makes us different. The time spent doing nothing changes the way we look at time and the way we use our time. If the nothing we do is reflective (is this really doing nothing) or relaxing we come to appreciate the need for something like a Sabbath to rest and consider. If we spend substantial quantities of time “wasting time” that changes us too if only in that it creates an empty space that cannot be reclaimed. I suppose it comes down to what we mean by useful and useless, if the definition of a “product” is something I can hold in my hand as opposed to something I hold in my intellect, imagination, or spirit, than Literature and Art are useless. But if there is more to our existence than producing a tangible product it is there that the usefulness of Literature and Art lies. Literature is the record we have of the conversation between those of us now alive on earth and everyone who’s come before and will come after, the cumulative repository of humanity’s knowledge, wonder, curiosity, passion, rage, grief and delight. It’s as useless as a spun-sugar snowflake and as practical as a Swiss Army knife (or, in Kafka’s stunning description of what a book should be, “an ice-axe to break the sea frozen inside us”). All I know is that when my daughter pushes for another chapter of Laura Ingalls Wilder at bedtime, I feel a part of something very ancient, mysterious and important, something whose existence justifies in and of itself this unlikely experiment of life on earth. I couldn’t tell you exactly what shelf in the utility closet that equipment for living occupies, but I suspect none of us storytelling apes would survive for long without it. This is the role that reading often fills for me, it opens my world, takes me out of myself, makes me more understanding of others and of myself. It is a conversation with the dead (or at least, as in the case of living authors, those that are “dead” to me in that they are not people that move in my circles). One of the surprises that comes from reading is how well people that have never known me know me. There is in literature that lives an understanding of life and of people and of the imagination that is timeless. 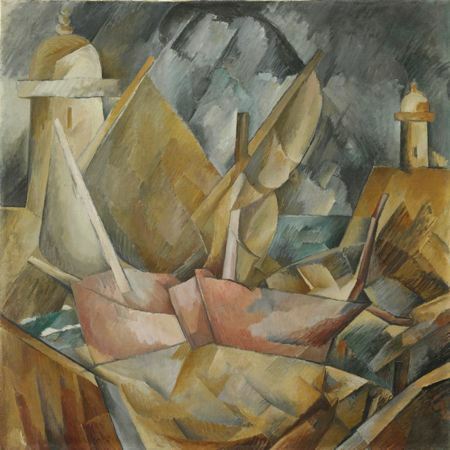 Like Braque’s painting there is something in reading that is on the one hand calming and reassuring, but on the other a bit disturbing, that upsets the way we look at things and presents the world around us in ways we did not expect and with which we are not always comfortable. This film contains one of the iconic images of the silent film era. That of Harold Lloyd suspended high above the city of Los Angeles holding on to the hands of a clock. But for me, there is also the city that is spread out beneath him. In the film I see the cable cars I used to see as a young boy whenever I went into the city which are no longer there to be seen. It brings back a time that is in some ways lost, but through memory and story can still be regained, if only in the imagination. This is the joy that comes from reading Raymond Chandler and recognizing the streets and the parts of the city he describes, that delights in the knowing “I’ve been there, I’ve seen that.” This may be more true of Los Angeles than of other cities because so much of this city’s historical architecture and open spaces has been replaced by modern structures and more “useful” space. I imagine people living in Boston or Paris or Istanbul experience something similar when they read of their hometown in stories set in their city. But because film came of age in Los Angeles I see much of the history of the city, especially its visual history, how its appearance has evolved, in many of the classical films (and many not so classic films), especially those of the 1920’s through 1950’s. So when watching films like Safety Last or Sullivan’s Travels I have the opportunity in my imagination to ride once again the cable cars of my youth. But more than nostalgia is satisfied by the time we spend with Literature and the Arts. 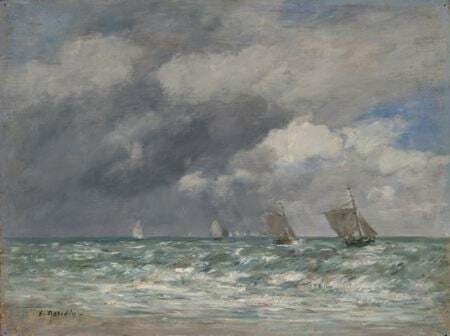 When we look at a seascape or a landscape (whether in the world or in a painting or photograph) we have to look carefully and if we look there is often something calming and serene about it. But if we look at a forest or seascape in the same way we look at a parking lot, invest the same amount of time in our looking we are not likely to appreciate the difference between a forest and a parking lot. In fact, in looking at a full parking lot some may see evidence that the economy is booming, that people are working or shopping, they are investing in the Gross Domestic Product and to them this is a beautiful thing, something deserving of preservation and replication. Thinking over what Ramin had said, I found it intriguing that he suggested not that Americans did not understand our books but that they didn’t understand their own. 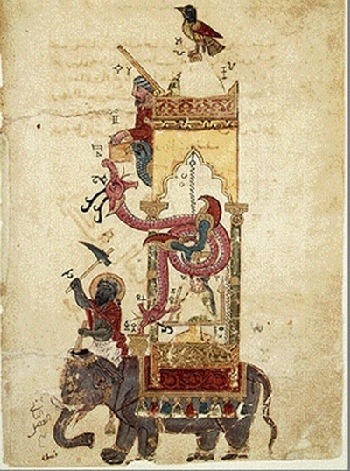 In an oblique way, he made it seem as if Western Literature belonged more to the hankering souls of the Islamic Republic of Iran than to the inhabitants of the land that had given birth to them. How could this be? And yet it is true that people who brave censorship, jail and torture to gain access to books or music or movies or works of art tend to hold the whole enterprise in an entirely different light. My impulse, now as then, is to disagree. The majority of people in this country (America) who haunt bookstores, go to readings and book festivals or simply read in the privacy of their homes are not traumatized exiles. Many have seldom left their hometown or state, but does this mean that they do not dream, that they have no fears, that they do not feel pain and anguish and yearn for a life of meaning? Stories are not mere flights of fancy or instruments of political power and control. They link us to our past, provide us with critical insight into the present and enable us to envision our lives not just as they are but as they should be or might become. Imaginative knowledge is not something you have today and discard tomorrow. It is a way of perceiving the world and relating to it. Primo Levi said, “I write in order to rejoin the community of mankind.” Reading is a private act, but it joins us across continents and time. I think there is truth to both. Those who have been denied access to literature and other of the Humanities have an appreciation that those who have grown up with it and always found it to be available do not have. In addition the influence in modern culture of films, sports, games, and other forms of entertainment that offer quick reward while demanding an increasing percentage or our time contribute to an environment where the Humanities are taken more and more for granted and less and less seriously. It is often the denial of access to these things that create a hunger and thirst for them. There you have it. You can imagine Gorbachev, his state verging on dissolution, adhering one of the Leatherstocking stamps to a letter—perhaps to Reagan or H. W. Bush—and smiling warmly at the visage of Natty Bumppo, his troubled mind allayed, for the moment, by dusty schoolboy memories of The Deerslayer. What interests me about this is that this quintessentially American hero moved so profoundly those that lived in a culture so vastly different from that of America. It is, I suppose the same impulse that drives American readers to Greek and Roman epics like The Iliad and The Aeneid. 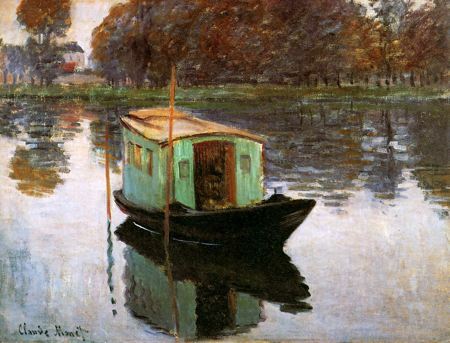 It is important to make time to enter these foreign worlds and to spend time contemplating boats on the water, boats that are doing nothing on the water but “being there,” that merely exist, that remind us that part of merely existing is doing useless things like contemplating words on a page and colors on a canvas. There was an article recently in the Guardian, “Who stole our reading time?,” about time and reading and the encroachment of interests and obligations. Though it is true for many that work and other obligations are consuming more of their time, it is other leisure activities that are most responsible for a decline in the number of hours spent reading, even on the part of, at least at one time, avid readers. When I first started teaching an English teacher at the school said that being a teacher left him little time to read. This seemed strange to me at the time but less strange now. Not only do papers need to be graded, but everything now has to be documented. Documentation is not a bad thing, but there are only so many hours in the day and that cannot be changed, but the expectations change regularly and it is amazing how much some seem to think can be done in the course of a day. 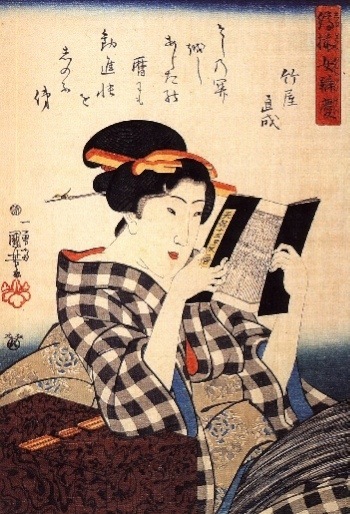 I envy the woman in the painting who is so engrossed in her book; but of course not being a reader of Japanese I do not really know what it is she is reading; it may be local gossip, it may be epic poetry. The song asks where the time goes. The harder we work the faster the time seems to pass and the more easily it is lost. At the end of each day there is satisfaction over what has been accomplished, but also a bit of frustration over what has been set aside for another day. Where did the time go? Perhaps management is part of the problem but can it be the whole problem. Why at the end of the day is looking at a film often more attractive than reading a book? Is it that our energies are drained by the things that we must do such that there is not sufficient energy for what we would like to do. The more passive the activity the less energy it requires, but also the less satisfaction and enrichment it supplies. What happens to a people whose minds and imaginations are inadequately nourished? Clocks are interesting machines that keep track of time and how much of it has passed. We may not know where the time goes, but we always know how much of it has gone. The images above and below are of clocks that to me do not look like clocks. It is said that replicas of these clocks have been built and that they keep good time, but for the life of me, I do not know how, I do not see the clock faces that I am accustomed to seeing that indicate the time of day, but there must be a way of reading them. Perhaps it takes little imagination to read these clocks once one understands how they work, but the images suggest that the clocks telling the time are also telling a story. These images also suggest that simple things, like telling time, can be infused with a bit of imagination and magic. These clocks are not purely utilitarian; in fact, they probably serve more of a decorative than a practical purpose. Still, if the story surrounding these clocks is true, they did not merely decorate. I think this speaks to something inside us that wants our tools to be more than merely functional, that they ought to please us as they work for us; they ought, like great poetry, to delight and instruct (or perhaps, merely inform). Who knows, perhaps the work that most deeply satisfies is work that delights us in its performance and enriches us in its contemplation. The film is of a clock that “consumes” the time. Its maker calls it a “Chronophage” or “time eater.” This clock, too, requires us to “read” time differently, we have to work harder, pay more attention, to the clock to get the time. But like many great clocks it is a thing of beauty to look at; we can lose time in the act of telling it, the clock beguiles and enchants. Perhaps this is another aspect of time and its passing. It is seductive, it charms us into believing we have ample amounts of it and as a result we are at times a bit profligate in its use. A good book in the reading of it also beguiles and enchants and is also a “chronophage” of sorts, though at the end we, hopefully, know more than just the number of hours consumed. For some the “ages” of their lives are marked by books that give their names to aspects of their personal history. They go through a “Beatrix Potter” phase, perhaps, or a “Fitzgerald” phase. There was an article in this weekend’s Boston Globe, “Looking at ‘The Iliad’ and seeing ourselves,” about how the present moment shapes our understanding of the literature of the past. The specific book in question is Homer’s Iliad, but the principle is true for any book. When reading a story it is important to be aware of the setting. One aspect of setting is time, but time is a bit tricky, it operates on many levels, there is the time day, the time of year, and the time in history. 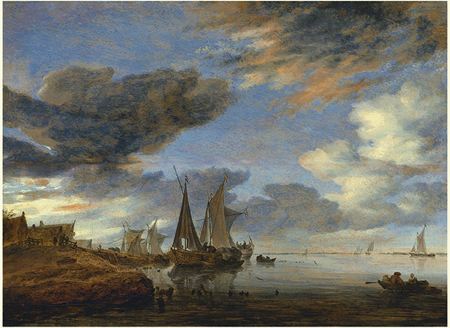 A story takes place in a certain time, the eighteenth century, for example, but it also takes place in the afternoon of a day in summer. In most books historical time is constant, there are exceptions, H. G. Wells’ The Time Machine for example and other science fiction stories like it, that move around in time, but most stories occupy at most a single lifetime. Events in the story happen at different times of day or during different seasons, but the whole story moves through a specific period of time. Sometimes stories are set in the past in order to comment on the present, or at least the present of the author at the time the story was written. Readers reading that story have to be aware of the historical context (the events taking place when the story was written) and the historical setting (the historical events surrounding the period of time in which the story takes place). But there is a third factor the reader must take into account and that is what is happening in the reader’s present and how the reader understands the past, both the past as it existed for the writer and the past as it exists in the story. I remember reading The Once and Future King for the first time. 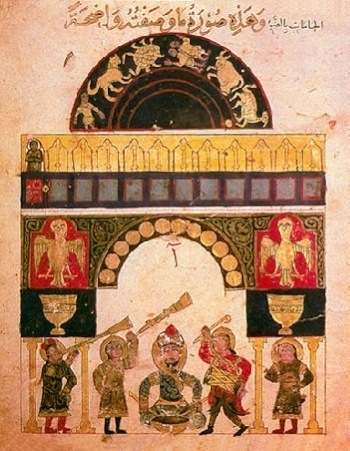 The book retells the King Arthur legend. Arthur lived about 300 AD, but everyone in the story behaves like an English gentleman of the fifteenth century. So when T. H. White retells the story he sets it not in the time when Arthur lived, but in the age that informs Arthur’s and his knights’ behavior. This gave me some trouble, because I knew Arthur did not live in the late Middle Ages even if he behaved in the stories as though he did. I had the same problem with Jonathan Strange and Mr. Norrell. On the other side of the coin Philip Roth’s The Plot Against America or Michael Chabon’s The Yiddish Policeman’s Union did not trouble me, though they were playing similar games with history. Perhaps this is a third element of time the reader must acknowledge, the extent to which her or his knowledge of history as it happened can be suspended so that the story can have its way with it. But this is not what the article was getting at when it talked about the way we read the literature of the past. Katherine Powers, who wrote the article, is suggesting that how we understand the events of The Iliad is shaped by the events of our own time. There was a film version of Euripides’ Trojan Women that was made in the 1970’s. The play presents Euripides’ view of war. He was using the Trojan War to comment on the conflicts of his day. The film was using Euripides’ presentation of the Trojan War to comment on the Vietnam War. Perhaps Euripides would have shared these views, perhaps not. 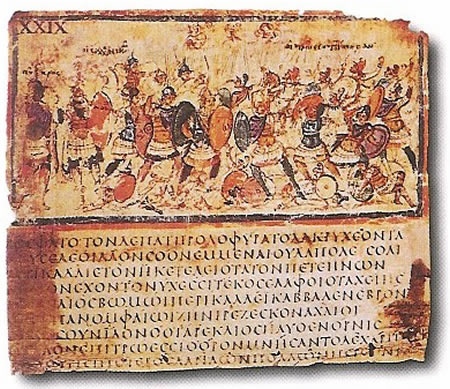 Powers suggests that modern readers of The Iliad see the story not as a tale of heroism and glory, but of the futility of war and the arrogance of some of those that wage it. She wonders to what extent this is a modern reshaping of Homer’s tale that violates Homer’s intent. But she also points out that Agamemnon is a dubious general at best, and that Homer created him that way and that Achilles’ concerns are not entirely unfounded. She points out that some modern readers see in this poem a commentary on war that is relevant today and speaks to present day concerns. As readers I suppose we are captured by time. We must fight with time to find the time to read in the first place. We must look at the times being depicted in what we read and shape our understanding of those times in light of what we know of how those times played out and what is true for the time in which we live. We must recognize that how we understand the time may not be how the author understood the time and we must make some decisions about what we will concede to the author. We may enjoy stories that involve knights engaging each other in jousts by the roadside, but we may not be willing to concede to others the right to pursue similar interests in the present day. We may be able to enjoy a story about magicians shaping the outcome of the Napoleonic Wars without being able to take it seriously as even a remote commentary on the history of the time. We accept it in fun and fancy, not in fact. Time may consume the moment but we in our choices may determine how the meal will be seasoned. The song talks about taking “the long way home.” Often the shortest, and the quickest, distance between two points is not the most interesting journey. Just as a quick look at the painting will not reveal all the painting has to offer. When I was younger I rode a bicycle through England, Scotland, and Wales, Holland, Germany, and France. When I started my trip my plan was to hitchhike everywhere. When I left London I hitchhiked down the motorway to Salisbury. While I was there I walked to Stonehenge, about a ten mile walk from where I was camping just outside the town. It was a beautiful walk that made me aware of what I would be missing if I traveled the motorways. When I got back to town I went to the Salisbury Cycle Works and bought a ten-speed bicycle. They put a rack on the bike so that I could more easily carry my backpack. The second day out I went down a quiet country road in a valley beneath one of the houses in which Jane Austen lived. There was a woman by the side of the road selling strawberries and cream. I, of course, bought some and enjoyed the whole “Jane Austen” aura of the moment, a moment I would have not enjoyed on the motorway. I imagine the strawberry vendor was there for the benefit of tourists visiting Austen’s house, but I arrived early and was the only other person on the road at the time so I did not feel so much like a tourist. The point is that it often profits us to take the long way and to not rush so much from place to place. I could have seen much more of Europe than I did if I had stuck to the motorway, but in another sense, though I would have covered more miles and visited more places I would not have seen as much. I also think that people responded to me differently riding a bicycle than they would have if I were rushing by car from place to place. I was a tourist and folks looked at me as such, but the bicycle initiated conversations that probably would not have been initiated otherwise. When the rack that carried my pack broke (because of the books I brought with me it weighed close to sixty pounds) a couple in a large black Bentley invited me to join them for tea by the side of the road. They could not give me a ride to town but they did give me a pleasant break from pushing my bike. I made the journey that Chaucer’s pilgrims made from Canterbury to London (their return journey) in one day. I am not certain how long a trip it was for Chaucer, but my sense is that it took a couple of days. I went faster than a fifteenth century traveler, but not nearly as fast or as far as most twentieth century travelers. But it is not just that travel by bicycle is slower than travel by car, but that travel by bicycle puts you closer to the ground and to the rest of the landscape and because you are traveling more slowly many more of the small details are noticeable. In a car you may see the lichen on a stone wall, but you would miss the rabbit lunching behind it. There was an article in the Guardian last week, “You can’t speed read literature,” about the way we read (or ought to read) literature differently from the newspaper or a textbook. When we read the paper or a textbook we are generally reading for specific information and are less concerned with the subtleties of language or the sound of the words in combination with one another. Our goal is to just get through the material and do whatever we need to do with the facts we have gleaned. But when we read literature, the way the words interact with one another and the phrasing and the figurative language that are used are the source of much of the pleasure we get from the experience. Literature cannot be read quickly, not if we are to enjoy all it has to offer. A novel can be read quickly for the plot line, to get the gist of the story, but for those that read literature as literature that is not the point. May Sarton once said, “I used to tell my students situation and character are life to a short story and plot kills. Plot kills something, there is no doubt, and in the kind of writer that Katherine Mansfield was, plot is not the point. It is something else. The same thing with Virginia Woolf. You might say that in To the Lighthouse very little happens except inwardly, in the characters, but people go back to reread books where not much may be happening but a great deal of life is being created.” We speed read for plot, we read carefully for character, situation, and to find the other interesting things a great writer can do with language. Those who travel the motorway from Canterbury to London in a few hours have made the same journey as those that make the same trip by bicycle in the course of a day or at least they cover the same ground. But is it really the same journey? 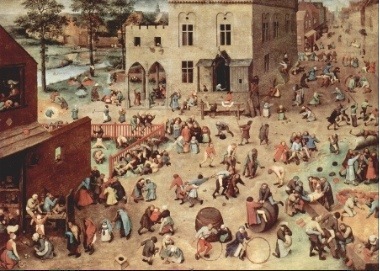 As with the painting at the top of the page, in this painting by Breughel there is a lot to see and though a quick glance may be enough for us to enjoy the use of color and the superficial construction of the scene there is much too much happening in the painting for us to get much of its real value from a momentary glance. Every one of the little groups that fills the painting depicts or suggests a different children’s game. To fully enjoy the painting attention needs to be paid to each of the games and the way each game is suggested by what the characters in the painting are doing. It is necessary to spend time with things of value if their full value is to be appreciated. The photographs above and below suggest other reasons to linger over things. 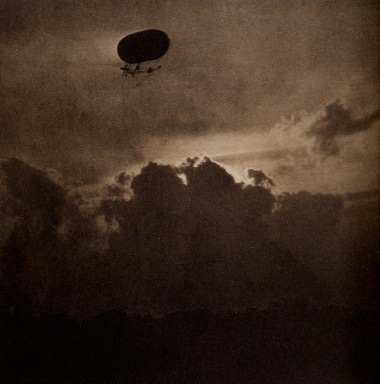 The dirigible in the Stieglitz photo, to me anyway, is kind of mysterious. It evokes the wonder of flight. The sun gilding the edge of the clouds suggests the rising or the setting sun, we cannot really tell if it is dawn or dusk or if the clouds are just hiding the sunlight. But the dirigible itself is captivating. The way the gondola hangs beneath the sausage shaped balloon is intriguing to me. It suggests a sailing ship in flight. For me there is also an eeriness to the photograph, something mysterious that I do not fully understand that reminds me of something from a Jules Verne story. The Adams photograph provokes, or at least it does in some, a meditation on the natural environment and its wild and sublime beauty. It invites us to linger over it, to pursue its details and enjoy the landscape that it captures. 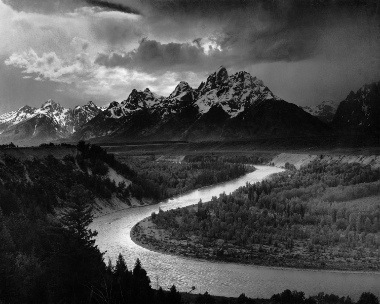 There is a similar play between light and shadow, between the ominous and the comforting, that is found in the Stieglitz photograph. Both the storm in the mountains and the currents in the river suggest the power of nature and its potential dangers. There were two reviews in the Washington Post of modern translations of stories from fifteenth century England and Italy. One was of Peter Ackroyd’s prose translation of Chaucer’s Canterbury Tales, “Book review: ‘The Canterbury Tales: A Retelling’ by Peter Ackroyd,” and the other of Ludovico Ariosto’s epic poem Orlando Furioso, “Michael Dirda reviews ‘Orlando Furioso’ by Ludovico Ariosto.” Both of these stories have been personal favorites and that they still generate enough interest to warrant a new translation is encouraging to me, though I am much more surprised about the Ariosto than the Chaucer, who has always been popular in the English speaking world. I think Ariosto repays the time that is spent with him and it is a pleasant thought that many more will perhaps spend some time with him. For me he is like a cross between J. R. R. Tolkien and Jonathan Swift in that it marries the heroics of the one to the comedy of the other. Enjoyment can be gotten by speed reading each of these books but there is so much in each to be savored and lingered over that is sad to think that some could be satisfied with such a meager offering, sort of like taking a single bite from an ice ream cone and throwing the rest away. A film is experienced differently than a book or a painting. One cannot take more time over a film than the film takes to run, well one could, but that would defeat the purpose of the film and probably do some harm to its enjoyment. But careful attention needs to be paid to what happens on screen. In the film clip from Jacques Tati’s Traffic much of the humor can be missed if the viewer does not pay attention to details, like the movements of the individual drivers after the accident or to the debris and the way it moves through the scene. The film is a French film but it is not necessary to understand the language (though I think it is has been dubbed in English) to enjoy the comedy, so much of the humor is visual. It is not just the spending of time, though, but how the time is spent. 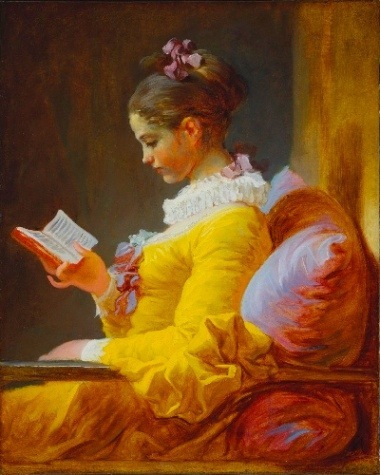 One person may read a book slowly because they do not understand the words and have to read and re-read to figure out what is happening while another may take the same amount of time reading because she or he is paying careful attention to the details of the story and the manner in which those details are conveyed. I think the increasing speed at which we move through life makes us less willing to spend time wresting with the written word when we do not understand and can leave us satisfied with a superficial reading when we do understand. Because of the numerous distractions that are available in the modern world, many students do not want to build the language skills necessary to fully understand and enjoy a work of literature. Thoreau felt, when life went quite a bit more slowly, that we spent too little time with ourselves and the world around us. We probably spend even less time with ourselves and our environment today. I suppose reading and reflection are a kind of mental exercise that many want to avoid in the same way they avoid calisthenics and other forms of physical exercise. In the same way we struggle with delayed gratification in the manner we run our finances we often struggle with delayed gratification in the manner we develop our intellect. 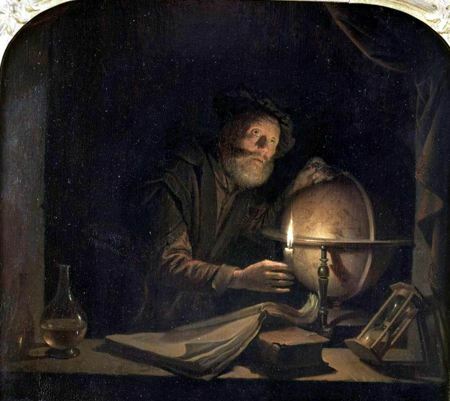 As our enjoyment of a thing we desire is often more perfect when we take the time to save up for its purchase, as opposed to using credit of one form or another, so is the object of our study, whether of a text, a concept, or a science, more perfect when we take the time to fully understand that study. There is a difference between knowing and understanding and that difference is often the product of time.